Important note: If your database exclusively uses bind variables, Oracle recommends deleting any existing Oracle histograms and disabling Oracle histogram generation (method opt) for any future dbms_stats analysis. This approach will use the number if distinct values to determine the selectivity of a column. The central problem with cardinality estimation is the in cases of complex WHERE clauses the optimizer does not have enough information about inter-join result set sizes to determine the optimal table join order. 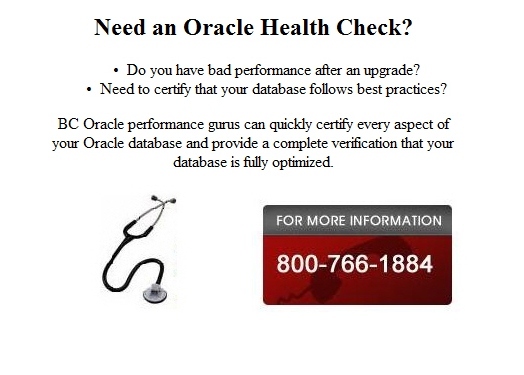 For complete details, see my notes on Oracle SQL tuning with cardinality estimates. The distribution of values within an index will often affect the cost-based optimizer (CBO) decision whether to use an index or perform a full-table scan to satisfy a query. This can happen whenever the column referenced within a SQL query WHERE clause has a non-uniform distribution of values, making a full-table scan faster than index access. Column histograms should be created only when you have highly-skewed values in a column. This rarely occurs, and a common mistake that a DBA can make is the unnecessary collection of histograms in the statistics. Histograms tell the CBO when a column's values aren't distributed evenly, and the CBO will then use the literal value in the query's WHERE clause and compare it to the histogram statistics buckets. If your SQL workload uses bind variables for all SQL (a best-practices approach), then you should nuke your histograms and disable histogram creation in the future (via method_opt). 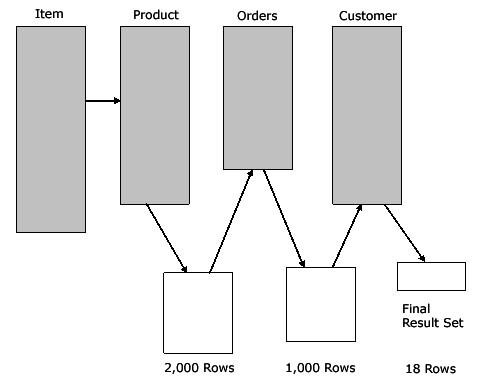 Histograms can help the cost-based optimizer estimate the number of rows returned from a table join (called "cardinality") and histograms can help. For example, assume that we have a five-way table join whose result set will be only 10 rows. Oracle will want to join the tables together in such a way as to make the result set cardinality of the first join as small as possible. Oracle 10g has also introduced dynamic sampling to improve the CBO's estimates of inter-table row join results. Even with the best schema statistics, it can be impossible to predict a priori the optimal table-join order (the one that has the smallest intermediate baggage). 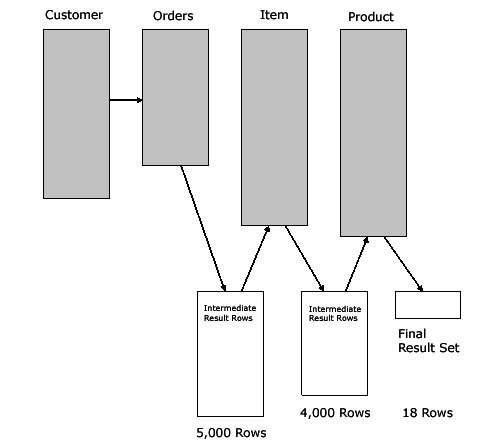 Reducing the size of the intermediate row-sets can greatly improve the speed of the query. The auto option is used only when monitoring has been invoked via the alter tablemonitoring command. Histograms are created based upon both the data distribution (see Figure A) and the workload on the column as determined by monitoring, like this. 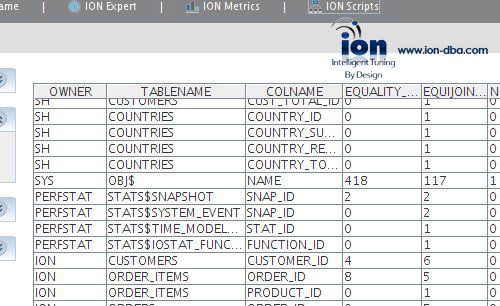 The Ion tool is an easy way to analyze Oracle SQL performance and Ion also allows you to spot hidden SQL performance trends.